As an expert in mold testing and sampling, Culley Enviro serves all of Dallas/Fort Worth as well as Houston. Contact Us Today to Schedule your Mold Test. The best source of information regarding mold testing and sampling is the ACGIH Bioaerosols Assessment and Control publication. 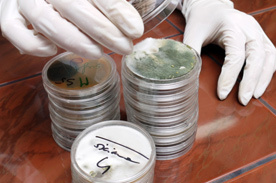 The first thing you learn about testing is not how to take a proper sample, but that there are no Threshold Limit Values (TLVs) or Personal Exposure Limits (PELs) for exposure to mold. Threshold Limit Values refer to air concentrations of substances and represent conditions under which it is believed that nearly all workers may be repeatedly exposed day-after-day without adverse effects. Since mold are grouped in three classifications: 1) allergens, 2) opportunistic pathogens, and 3) toxigenic, they are not easily studied. The allergen component, as everyone knows, is hit and miss in humans. Some people are more susceptible to allergens than others. Each person is different. As for opportunistic pathogens, these classes of molds seek out hosts who have suppressed immune systems which makes them more easily affected by the mold. The presence of toxigenic molds in the human body can be determined through blood and urine testing. Some of the symptoms of these molds can be hampered brain activities, reduced motor skills, and death. Still, there are no mandatory numerical limits against which scientists or assessors can compare measurements of air or source concentrations for mold during a business or house mold inspection. Sampling for airborne mold spores and mold parts is not a perfect science, but it is what we use to determine the concentration of bioaerosols that occupants will be breathing. Just as there are no TLVs for mold, there are no environmental measurements of total culturable and non-culturable fungi (mold). The judgment of each individual mold assessment company, assessment consultant and assessment tech is what comes into play. So, before you ask someone to come out and perform mold testing or inspection in your home or office, make sure they are using reliable, best practices and not making it up as they go along. Ask for explanations of lab results if you don’t understand them. Spore Trap Analysis – This is a type of mold test in which mold spores and mold parts are extracted from the air using a low volume pump set at 15 liters per minute. The air is pulled through the sampling cassette via the pump and then exhausted out the bottom of the pump. The sampling cassette traps the mold spores and mold parts on a sticky slide that is then taken to an accredited laboratory like Moldlab in Carrollton TX. At the lab, the cassette is opened and the sticky slide is removed and placed under an electronic microscope after it has been prepared by a lab technician. Depending on the time you leave the pump turned on, the cassette will capture either 15, 30, 75 or 150 liters of air. After the slide is processed (and read), then the lab will produce a report that shows the type or genus of mold, the number of raw spores visible on the slide, and an extrapolated number called the concentration per cubic meters of air. These calculations are universal and lab results can easily be interpreted across the U.S. and in most foreign countries. Another common method of testing is called surface sampling and there are many methods that can be used including: tape, slides, swabs, and bulk samples. Surface sampling is exactly what it says it is. You use a piece of tape, or a slide, or a swab and apply it the surface of a material where you see fungal growth and press down. The adhesive on tape or a slide will lift the growth up off the surface. A swab is usually moistened to accomplish the same thing. A bulk sample means that you are cutting out a piece of the contaminated materials and taking it with you. Cascade Impactors like the Anderson N6, or single stage viable cascade impactors will take samples from the air and place them on a 15mm disposable petri dish containing sterile culture media. Air to be sampled enters the sampler and accelerates through the jet orifices of the classification stage, the small particles are collected by inertial impaction on the agar plate. The pumps are set at a flow rate of 28.3 liters per minute, or 1 cubic foot per minute. Normal sample times will vary from a few minutes up to 30 minutes depending on the purpose for which the sample is collected and the type of air environment being sampled. Cascade impactors have the advantage of showing only the live or viable types of mold present, but are significantly more expensive and can take up to 2 weeks to get the results. NO OTHER TYPES OF TESTING ARE ACCEPTED BY THE STATE OF TEXAS FOR TESTING MOLD SPECIFICALLY FOR TYPE/GENUS AND/OR SPECIFIC QUANTITIES. The Adenosine Triphosphate Luminometer from System Sure is an excellent tool to determine whether or not a surface is clean. 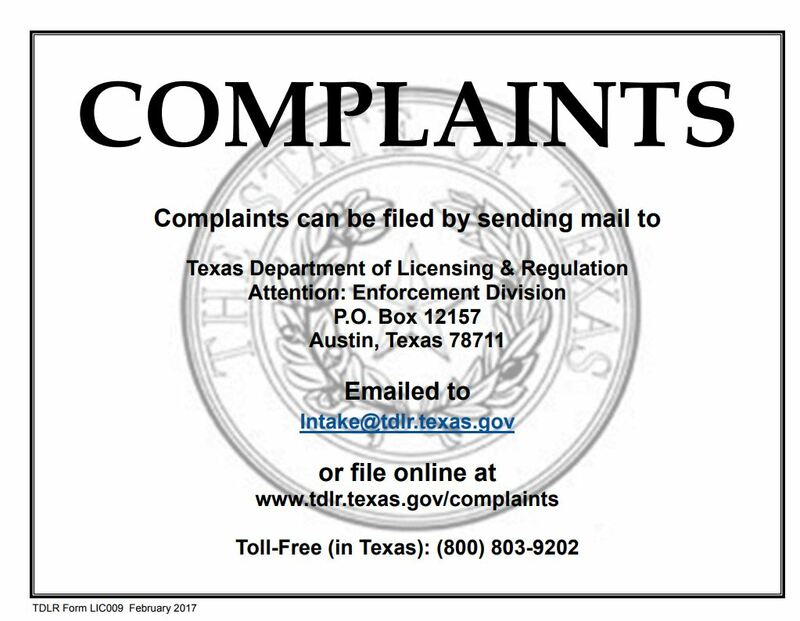 However, since it does not quantify the amount of mold spores or mold parts that are present, it is currently not accepted by the state of Texas for use on mold projects specifically for clearance purposes. Ready to get a mold inspector who is certified and uses all of the best mold inspection equipment? Contact Culley Enviro today!